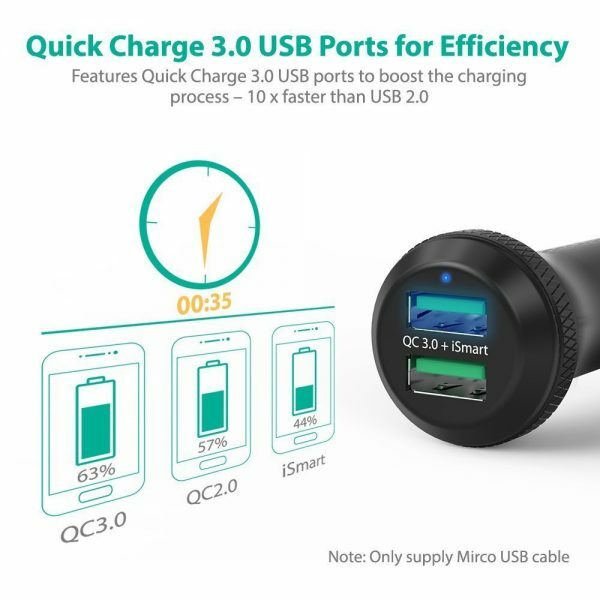 Quick Charge 3.0 USB Ports for Efficiency Our needs are forever evolving. We want our digital devices to be smarter, faster, better. 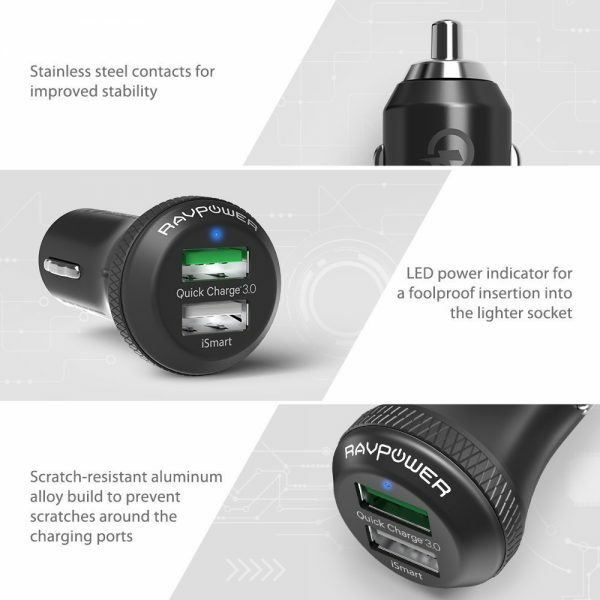 Car chargers are no exception. The RAVPower RP-VC007 car charger has been upgraded with Quick Charge 3.0 USB ports to boost charging speed. 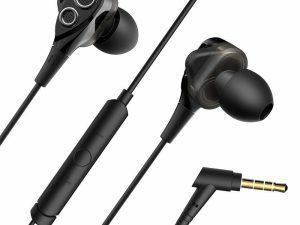 A 10 – minute charge from your office to the client meeting pumps up your smartphone quickly for the hustle and bustle of work. 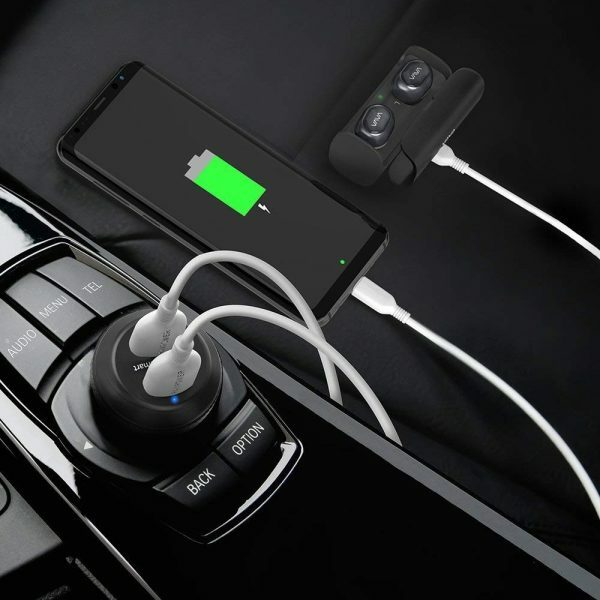 Two Devices at a Time When you are driving with the navigator on your smartphone (which is very power consuming), you definitely need to plug it in the car charger. What if your friend in the car wants to recharge his / her cellphone too? It is a real bummer if you have to take turns to charge your phones with a single port car charger. Stays Fully Charged On the Go Nowadays, we use our cellphones for everything. It is a daily routine that we fast drain our batteries several times. 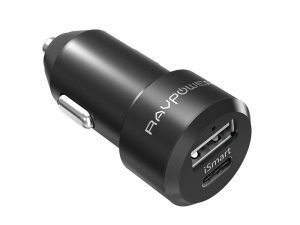 A car charger can be a major life saver, especially for road trips where wall sockets may not be available. Driving while charging can also pose a challenge for stability in that the charger may pop out of the cigarette lighter receptacle. 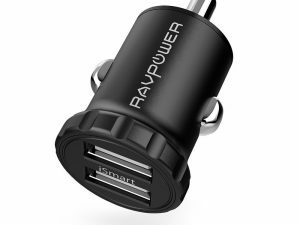 Designed with the wider circuitry contacts of stainless steel on both sides, the RAVPower Car Charger is able to secure charging even on bumpy roads. Portable Build for Space-Saving Let’s face it: There is limited space on the dashboard. If we are to add an additional device on it, we’d better make sure that the device does not take up much space. 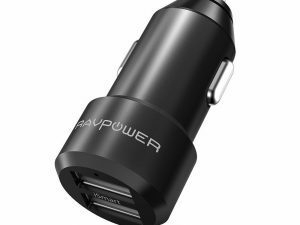 Users can benefit a lot from a compact car charger like the RAVPower one, which is smaller than most Quick Charge 3.0 chargers on the market. 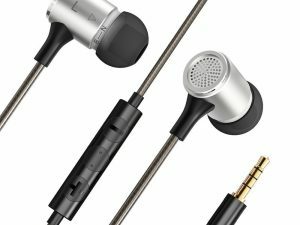 It is petite and yet functions perfectly well.